Microsoft support both scenarios and do not care where SQL is installed. However most ConfigMgr consultants will tell you to install SQL locally. You have more control and your solution will be less problematic. Also the ConfigMgr Primary Site Server computer account must be local administrator and Sysadmin for the SQL instance. This is a hard sell for most DBAs in a shared SQL environment. Each secondary site supports a single management point that must be installed on the secondary site server. Individually, each primary site supports up to 250 distribution points and each distribution point can support up to 4,000 clients. Individually, each secondary site supports up to 250 distribution points and each distribution point can support up to the same number of clients as supported by the hardware configuration of the secondary site server, up to no more than 4,000 clients. Each primary site supports a combined total of up to 5,000 distribution points. This total includes all the distribution points at the primary site and all distribution points that belong to the primary site’s child secondary sites. Each distribution point supports a combined total of up to 10,000 packages and applications. ConfigMgr is not a real-time service like Exchange or SharePoint. It has not been designed to be "highly available" (even though you can introduce a certain amount of redundancy by deploying additional management points). It is more useful that you implement a backup strategy (with regular test restores) so that you can recover a failed site in an acceptable time-frame. Note that ConfigMgr 2012 supports full recovery via SQL backup alone. Hi Gerry. I have read about the conveniences of installing a Distribution Point instead of a secondary site in some circunstances. I Understood that if you have less than 500 clients in a remote site is best option to use DP instead of Secondary Site. In my case I have a central office with a WAN link speed of 6 MB and about 10 remote sites with WAN links speed of about 1 MB and less than 100 users in each Branch Office. What is your suggestions, should I install secondary sites or Distribution Point + management point in the remote sites? It's really impossible to say without knowing further information. However I would start with Distribution Points in each location and monitor the WAN links. You can use the inbuilt rate limits and scheduling to throttle the bandwidth. If you feel it is necessary you can then deploy secondary sites. Thanks Gerry. That's what I am planning to do. These are only guidelines. It's impossible to be definitive. You should be in a position to extend the storage if you need to. Thanks Gerry, appreciate your input. For SQL, should you always separate TempDB and SQL primary data? Or for smaller environments, could I put everything on for example D: in this case? Great blog series, I have learned a lot. You're right. It's not so important for small environments. Can I install SCCM 2012 on Windows 2008 R2 STD 64 BIT with SQL 2008? Looking to install SCCM 2012 for about 600 devices..the issue is they are in multiple ad sites. Can i manage all from one primary server, or will i need distribution points at all the locations. and if so, can that distribution point be installed on the DC? Did I just answer this question on the Technet forum? Sorry Mark. I can't remember. There isn't enough detail in the question above. Excuse the stupid question but can I deploy a management point and a distribution point on the same 2008r2 box or do they have to be independent entities?? Yes, you can. All single server implementations have both. Thanks Gerry for the prompt reply and sorry for misspelling of your name. I am just starting planning our config manager setup. 1 main site (3000 devices) with standalone primary, multiple out centers (no more than 1000 devices) each with DPS and MPs. No point deploying central admin for the amount of devices we have and same goes for secondary site as all our links are 1gb min. Does this sound ok for a start?? No bother. Yes, install a standalone Primary Site in your main site (3000 users). However be careful with the other locations. Installing the DP is OK and recommended. However deploying remote MPs does not make sense. Multiple MPs are deployed for load balancing and you cannot control which MP your clients will use. It's completely random. Therefore you could have a situation where clients in your main site will use a remote MP and vice versa. If you need remote clients to use a remote MP then you need to deploy a secondary site at that location. DP in Queensland, New south wales and Western Australia - Do we need 3 VM's for DP?? Can I install SCCM2012, SQL 2012, WSUS 4.0 and DP on a single VM? It's difficult to say but it sounds reasonable. I would deploy a DP on all sites with more than 20 users. You should have decent RAM (perhaps 12GB) and at least 2 virtual processors. Also, why so little disk space? I would raise E: and F: (especially if you are doing OSD). Hi Gerry, Thanks for your great blog. i am installing sccm and wondering if there will be any conflict installing sccm2012, sql2012 in my primary site in an environment where there is an existing sql2008 in use by another application? That doesn't matter at all Tob. I have 5000 clients in the same location.They are divided into 3 main branches in The OU and subnet. Will it be ok installing primary site and 3 distribution points without a secondary site. If all your clients are in the same location then you do not need a Secondary Site. You just need a Standalone Primary Site. The number of DPs you require will depend on how busy you will be with deployments. I've seen customers of that size with just one suitably resourced DP. In our environment, we are going to implement SCCM2012, we have a corporate office nearly 400 Servers and 8 locations have less than 100 servers, please let me know how to design? You haven't given me enough information. Will you manage servers & workstations (you haven't quantified)? What are WAN links between offices? What ConfigMgr features will you be implementing? We currently have a SCCM 2012 r2 environment, but we would like to have better controls over the servers and would like to separate them out from the 25,000+ desktops. Would it make more sense for us to have a secondary site for the 1500+ servers or should they be a standalone instance, and are there any gotchas either way that I should know about? I haven't been able to find much information online about this type of situation. Thanks for the great blog and appreciate the advice! I couldn't give design advice without knowing more about your infrastructure. No. of users in each location? I will say that you don't specifically need a Secondary Site (and certainly not another Primary) to manage your servers and logically separate them. You can do this with collections. Liked you blog and its very interesting. What's your advise in regards to installing SCCM 2012, SQL 2012 and WSUS all on one server. SCCM will be managing around 250 clients. Is this a good design or what will you propose in this case? No question - all on one server. You did not talk about the firewall consideration during planing and how to configure it? It depends where you look. In reality you should use the solution that fits in your environment and works for you. I believe IP ranges are less taxing on resources. Most PFE & MCS that I have spoken with say that ranges are preferred. Each domain has 5000 Client. There is many way to achive that but one way i found install primary site on each domain and manage all primary with CAS. Sorry for the late response. You don't need a CAS to manage 15,000 clients, regardless of their domain membership. Have a look as this good blog series for managing clients in untrusted domains. Will it be possible for you to share which ports i need to open just to manage Windows update? I am planning to install SCCM as a stand alone and it seems i need to open so many ports which i am worried about. Are there ports that needs opening on SCCM server but not on the clients? We are a small organisation with about 250 client/users looking to implement SCCM primarly to Deploy OS, application, Updates, asset mangement and software metering.We have several remote sites with very minimum users. I have provided below the detailed information on the same . All the three sites are connected by 1Gbps Fiber link. These two sites are connected to site 1 via a 10Mbps link. I was wondering if we could just implement a Standalone Primary to services SITEs 1,2 and 3 and thinking of using Win 7 as BranchCache for Site 4 and 5 ( Can Win 7 Professional be used for Branch Cache?). I was wondering if you would recommmand this design or a different ?. And also, regarding the SQL, we currently run SQL server 2008 R2. Should we create a separate instance for running SCCM database or use the current instance . 1. I would implement a standalone Primary Site in Site 1. Install SQL on the same server. You can also make this your MP and DP. 3. It's a tough call as to what to do with Sites 4 and 5. It really depends on what you need to do. If you are going to be deploying a lot of software you may need local Distribution Points. You could use a Windows 7 computer for this. If you want to image computers via PXE you will need a server OS. Hi Gerry , Thank you for you recommendation. It was very helpful. To add to this I have few more questions. 1. Due to SQL license cost and budget constrains, procuring a new license is a no. Instead could we use our existing SQL DB Server or will this cause any critical issues. 2. what would be your recommended hardware configuration on the standalone primary site(not running SQL locally and running SQL locally) for our environment. The is no SQL cost when you install it locally. It is included in the cost for all System Center products. Was hoping you could check to see if the design consideration is worth deploying or do you recommend a different approach? Thanks in Advance! Looking to deploy a Primary with a remote SQL as we will have all the other SC packages in the near future. Secondary will host its local SQL instance with separate DPs at each site on different VLANs so if any major changes/updates need to occur on the primary/secondary we won't have any major disruptions. I would keep SQL local on the Primary Site Server Blaz. It is not recommended to share the SQL instance with any other System Center product. I was wondering if you can confirm my design idea. I'm presuming you mean Secondary Sites at Site A and Site C. That would certainly work. It's possibly that you may not need a secondary site at Site A though. You could start off without it and monitor the WAN traffic for any problems. hi Gerry for right I meant A and C.
sorry never worked with a secondary site before, can I use the secondary site to deploy images and for capturing user profiles (usmt) aswell? After reading a lot of your comments on this blog it seems you always need information to give the correct advice. I have some questions for you and something I am having dufficulty getting an answer for. 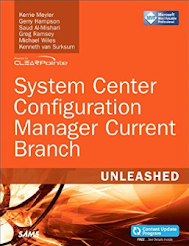 I have read multiple articles and information regarding SCCM as I am quite new to the topic on how to design our Infrastructure. Each Town as below has a DC. AD has different sites set up for each of the Towns below. Currently we are still using a WSUS infrastructure that is not deployed through SCCM but this is our goal to get it integrated. Also we want to integrate SCUP so that it deploys 3rd party application updates. The questions I have is as follows. Do I need to deploy a CAS or should SCCM Primary Site with Seconday sites do the job? Cannot find a definate answer for this so if you can larify for me I would be verry happy. Scenario 1 - If we do need a CAS "Currenlty no budget for another server. 1. Would you recommend on the information above that I get rid of the Secondary Sites and run as 1 Stand Alone Primary Site. 2. Would you recommend deploying WSUS updates through SCCM or should I stick with the current WSUS. 1. Would you say I must deploy a CAS, Pri Site and Secondary Site to each town. 2. Rather run WSUS and SCUP through SCCM. If you can answer these questions for me I would really appreciate the input. For SUP Part, could i use the same SCCM dedicated instance for WSUS? the other node(default instance) of sql cluster for SCCM Reporting. (As ssrs is non cluster aware & also SCOM does not share SSRS feature). I ALWAYS try to keep SQL local fro SCCM (SCOM is different - you should NOT keep it local). You can use the local database for all System Center related products (WSUS for example). Thanks for your Blog, learning a lot. Hoping to ask what you would recommend for an enterprise site deployment strategy for our SCCM2012. Our home site has a pair of DC's (2008R2) and a separate server platform with SQL 2008R2 with instances for other applications/services. We are planning on installing SCCM on a new non-DC server. No virtualization yet. All under one domain. Should we at our home site install SCCM as the Primary Site and our satellite locations as Distribution/Management points, or keep the appropriate functions only at our home site? Or maybe you recommend something else? Is there an issue running the Distribution/Management points on a DC? Also, are there additional license requirements if we install Distribution Points at each of our satellite sites? We apparently have a Standard license which is good for a server with 2 processors. All our servers are running 2 processors. I would use a single server in your home site and install SCCM and SQL to create a standalone primary site. You should also have a DP and MP on this server. I would deploy DPs to the remote sites. Deploying DPs on DCs is supported but not recommended. You should talk to your Microsoft License Reseller about licensing. It can get quite complicated and I'm not able to advise you on your benefits. I really like your blogs, well structured recommendations and great advice !!!!! Just wanted to make sure that we don't have to change the configuration again n again, as it will be all physical environment. Please suggest, if this planning would be good enough ? But, company wants a remote SQL server. And , Can We save the licensing cost by installing SQL locally ????? Much appreciate your help, Mate !! 3. I would install SQL locally. 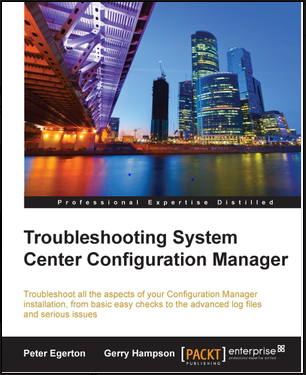 There is no licensing cost for this - it's included with the System Center license. 4. You will have to get advice elsewhere about the licensing requirements for Service Manager. 200 GB for Apps/DP content....Is it enough ?. 500 clients is not a very big environment. Therefore the SQL design is not as crucial as it would be on larger site. In any case there are many things to consider with SQL design. You haven't specified whether you are using physical or virtual servers. This makes sense when you are using physical servers. It doesn't make sense when you are using VMs (as the disks presented share the same SAN resources). You should also then consider creating several database files. Therefore the configuration you are proposing is not optimal but it will do for your small environment (I don't want to be seen approving a design that is not best practice). As for the disk sizes, that really depends. What will you be doing? Remember, if you are doing OSD and you have several 10GB images your drives will fill up pretty quickly. The important thing to ensure is that the drives can be extended if necessary. Thanks Again ...........................keeping Rocking !!! Is is possible to have two Standalone Primary Sites in the same domain? One site as a test environment and the other for production. Or would I have to setup a CAS and have the two Primary Sites under it. Technically you can do that Troy. That's the way migrations are done for example. You just need to be aware of overlapping boundaries. However I am totally against the idea. Test is for test. Production is for Production. They should absolutely be independent. Will the planned server deployment meet the needs of the planned feature set implementation? Will additional servers be required to meet the needs of the features we are looking at? This is not a huge installation but I wouldn't like to hazard a guess at a design without knowing more about the environment. You are talking about implementing most of the ConfigMgr features. Look at MAC Management for example. This requires a PKI infrastructure so you would have to build additional MP and DP to be configured for https. There are too many unknowns here. I have a query on applications distributed to a DP. Is it possible to manage SCCM such that software could be distributed on a particular drive on DP and OS images to another drive on the same DP? Also, if this could be done, could the process be performed after DP is installed? No, unfortunately I don't believe this is possible. There is lot of information around web on SCCM but much of links confuses among when to use CAS, Primary, 2ndry and DP. However I find this blog to be well structured and live, thanks !!! Well, need to implement /deploy a DP on branch /remote location . Do you have a step by step guide or link that I can follow? We got two forest and trusting each other with multiple child domains. I'm going to install SCCM inot Forest which dosent have any child domain. Planned Servers - virtual, with Server 2012 R2 , SQL 2012 R2 Same Server? So how do i design this implementation. I have currently set up a virtual SCCM 2012 R2 environment in vmware environment and have the following setup (currently in test mode). E:\ 200 GB (for all source images, DP, MP etc. 1. Do you think we are up to technical spec on the setup of the environment? policy to keep databases on a single server with encryption. Note: This is a shared SQL server with other databases. I think that your design is way over-specced John. You can easily manage 350 users with a single server. I always recommend to install SQL locally. Your blog is full of great information and has been extremely helpful. I have had more than a few server admins share with me some pretty bad horror stories regarding their unbearably slow SCCM implementations. If at all possible, I would very much like to avoid claiming membership to the "slow and sluggish" club. I believe I've given plenty of consideration to sizing and future growth thus far while still in the project's planning phase. However, I'm concerned that my plan may be a bit robust for our needs ... I was hoping to get your input on a couple of points, to help me dial the plan in where necessary. SCCM will be used to manage all WSUS patching fo all Servers and workstations enterprise wide as well as EndPoint Protection. Total clients = approx 2500 all microsoft. AD environment = Multi-forest (three forests, with 1 AD domain each), Single site (per forest/domain) all servers (for all forests) are centrally located in the same data center, all workstations are Win 7 joined to the production domain and are distributed across ~60 small office locations all within a single metropolitan area. We have multiple servers in various DMZs which need to be managed by SCCM as well; however, DMZ servers are either in a separate domain from either Production or Messaging, or are stand-alone. 1.) Should I deploy SQL Server 2014 Standard (2 server active-passive cluster) separate from the "Stand-alone" Central Admin Site server? Or should I pile everything onto a single server? 2.) If I go with a separate SQL cluster running SQL Server 2014 Standard (or a separate non-clustered SQL server), and the SQL server/cluster is dedicated to only SCCM 2012 R2 ... do I need to pay for SQL licensing? Or is SQL licensing free only if installed on the same server as the Primary site server (same OSE)? 3.) Final question, If I place SCCM 2012 R2 in my Production environment/forest/domain, will I need to put any SCCM components (management, distribution, software update point, etc...) in my DMZs to manage those hosts there? And can I have those components joined to a domain/forest separate from Production? Note: (no firewall can be configured to allow a DMZ host to initiate communication inbound to a Production host, regardless of port. Again, thank you very much for your time, any advice is very much appreciated! What about failover or HA? In this documentation Microsoft says "Deploy a hierarchy of sites with a central administration site, and one or more child primary sites" so if I have more than one primary site server, i need a cas server to manage them, right? From this point CAS Server is needed for HA? Actually all I want to know is when one primary site goes down, clients automatically assign or continues reporting other primary site if i have more than one primary site server in my environment? Could you please describe all this considerations? As we are moving our existing SCCM 2012R2(cas and primary)servers to a new Data Center at the same time we need to change IP address with new Vlan . 1.Do we get any impact or issue . 2.what is the procedure to change with new IP Address. ConfigMgr uses DNS to locate site systems so there should be no impact as long as DNS is functioning correctly. Hi Gerry, Great blog and so much helpful advice. I installed one subsite on a server at my other location. I then pushed the client to it, however the site code on the server now reads the main site, vs the subsite's site code. Boundary groups seem setup correctly, and other PC's in that site read the correct code, just the subsite server is different. Is this expected behavior, or a glitch I have to work out? I thought the client typically reports to itself(same server) in this case. You really don't need secondary sites for 50 computers Dave. You should be using Distribution Points in those locations. I am very new to sccm and looking for some advise here. below is the scenario. can you please advise what option shall i go with? Requirement -Software and patches deployment, Software /Hardware Inventory, Infrastructure Monitoring. My proposal - is to go with 1 Primary and 2 Secondary.Is this is the good option to go with ? Or can we go with just secondary sites without implementing primary? Difficult to say without more information but seems like a Primary Site and 2 Secondary Sites would be a good bet. You "may" get away with a single Primary site as you are not doing OSD (you didn't mention how good the WAN connections are). You cannot have a Secondary Site without a Primary. I am looking at building a test sccm environment at work. could i add a secondary site as a test environment so i could test out sp releases as well as test out packages etc? No, that would make no sense. A Secondary Site performs totally different functions to a Primary Site and would not "mirror" your environment in any way. Do Distribution Point servers have to be dedicated, or could we install a DP on a server already hosting a print queue (and nothing else)? Yes a DP could easily co-host with a print queue. You just need to ensure that you have enough disk space. But the setup is terrible. So, I decided to setup a new environment. Now, there are two SCCM in a single forest. System Management Container is generated. All Devices are discovered....Basic setup complete. So, My question is can I run the setup like this. I have to Uninstall Roles from old SCCM first and then Configure the new environment? * Whole idea is to bring new SCCM environment in place, as there is no documentation around old environment. Presently I have 5 SCCM 2012 R2 Primary Site (Stand-alone) on 5 sites. All offices are connected together with 10Mbps MPLS link. Now I was told to remove Primary Site standalone from 3 branchoffices and install only DP. For two offices (No. 4 & 5) it is okay as users are less (350 & 300). -- But for first branch office (No. 3) for 3000 users is it recommended to have DP, or I have to go with secondary site. -- Can I add secondary site on standalone Primary Site at one of my HeadOffice. -- Also can I install CAS to manage all sites from one place? Will there be management issue for installing CAS. All your questions are answered in this blog. You do NOT need a CAS (nor should you implement one). Good afternoon Gerry, we are starting the 2007 to 2012 migration project. I am thinking if we can do without the CAS? 2 Datacenters 1 NY (250 users) 1 BAHRAIN (700 users) WAN: 1GB. 1 remote office in Abu Dhabi (10MB link to Bahrain DC) 50 users. PLAN: Asset Management, Software deployment, WSUS, reporting. I am thinking to do 1 PRIMARY in US, 1 DP in BAHRAIN. Will this support Abu Dhabi? Also if I do 2 PRIMARY, 1 in the US 1 in Bahrain and 1 DP for abu Dhabi, can they be centrally managed from 1 console / location instead of independently? In addition after this is complete, I want to integrate SCCM with Microsoft INTUNE (Cloud) which I read is possible. Pointing this out there if needed for your advise. Lastly, any real benefit of using a CAS? Your reply would be extremely appreciated, thank you. Thanks. Now, you have 1000 users. You do NOT need a CAS. It will give you no benefit and a lot of hassle. You need a Primary Site. Your only decision is where that should be deployed. Where is your IT? Will you be imaging? It's normally better to capture images on the Primary Site. Anther thing to consider - if you choose NY as the Primary Site then you should probably deploy a Secondary Site in Bahrain. Thanks Gerry, we have IT spread across the US and Bahrain.I made a mistake the WAN link between the US and Bahrain is 40MB, will that be sufficient for 1 Primary in the US and perhaps a DP in Bahrain or is the secondary site still the better way to go? There is a chance that you will need a secondary site in Bahrain. You could just start with a DP and monitor the WAN traffic. You can add the secondary site afterwards. Hi Gerry, awesome post ! Our setup is countrywide, with approx 15000 clients based over 500 locations in a single AD forest. Most locations will have between 5 and 30 clients, with a few main areas having a few hundred clients within. The network connections vary between 10 and 100 mb to the smaller sites with the main sites having Gb connections. What hierarchical setup do you think would best suit this scenario ? Looks like you should use a single Primary Site with remote Distribution Points where required. I'm not sure where you saw that Hussein. I think it's a great idea to have an SCCM lab environment for testing. However I would always try to keep it on an isolated network to avoid overlapping boundaries and any other interference. Hi Gerry, sorry I should have been more clear. I meant a test lab on the production LAN. Other than overlapping boundaries, what else could interfere? We have a requirement to deliver automation into a part of the business that has 255 desktops over 13 sites. This is a public environment and budget is low. We want to provide patching, application and OS deployments and monitoring. One of the sites that has over 20 machines is on a 10MB links. Can it be done without adding additional servers as DP servers to the remote sites. Can we use Branchcach on a windows 7 desktop. Do we need a PXE server on each site to boot images if we want to deliver OS's. As I advised budget is very low and minimal infrastructure is the only option. What are your thoughts Gerry? The short answer is it really depends on what you will be doing? OSD is the big one here. How often will you re-image computers? If it is infrequently then you may be able to tolerate the network traffic generated by a very large WIM file (out of hours). If it will be regular then you need to have the content files available locally. If you want to use PXE then you need a server OS (for WDS). Therefore you won't be able to use Windows 7 as a DP. You could also consider the option of re-imaging computers at the remote sites using removable media based task sequence (flash drive). Software Updates can also generate quite a bit of network traffic but you can use a Windows 7 DP for this. So would I need a PXE server on each site that we would like to boot and image windows 7 machines at? Or could this be beside my SCCM server in the datacenter? I can't answer that for you. If you use a remote WDS server then the boot image has to traverse the WAN every time you PXE boot a computer. This could be 300MB to 500MB depending on the number of drivers you inject. You should test and baseline to see if this traffic is acceptable on the network. To answer the question it would be infrequently but still would like optimal (taking into account my budget constraints) delivery. You mean Distribution Points at remote sites. Your post has been most helpful. I’m new to SCCM and wanted to run a design by you since I’m unsure on the hierarchy design if you please have time to answer. We have 13 locations spanning across North America (US and Canada). Each site has about 300 users and devices and contains a DC, WSUS, and a VM environment with a good size SAN as well. The MPLS connection between each site is no less than 15Mbps with some at 50Mbps. We would like to use SCCM for OSD, WSUS, APP/Content deployment, hardware monitoring, Intune, and endpoint protection (AV). The WSUS server is managed at one location and all others are downstream servers. This year we are looking to move our primary servers to an offsite datacenter, but our current situation is that one of the 13 sites just host all those servers. There is an IT admin at each site. From what I’m reading, we can do this design with 1 primary site and all the other sites just setup as a DP and MP. What would be the benefit to have a secondary site vs DP/MP? Then when we get ready to move to an offsite Datacenter, move the primary server and create a new DP/MP or secondary site to replace the primary site server? So for the project, would have to stand up new VM servers or could I use the current downstream server already in place at each location? We have the budget to put in new if recommended. Thank you in advance for your response and thoughts. If I want to deploy CAS, do I need a license for it? not the server OS, I mean system center license? We are an organisation of about 10.000 devices (clients + servers), spread over 190+ sites around the globe. Our infrastructure consists of 5 different forests all 2way trusted with each other connected with a toplevel domain above them. the 5 different forests are also 5 different companies with different needs and different setups. I'm thinking to setup a CAS on the toplevel domain with primary sites at every forest. It's not the amount of devices but my reason for using a CAS is the fact that all primary sites can administrate their own specific settings without this being replicated to the rest. Or is this possible with a stand-alone primary site on the toplevel and secondary sites with DP's beneath using roles and security scopes? Roles need to be windows patching / software installations / software updates / OS deployment. I am new to the design and implementation of SCCM 2012 R2 . I have worked only in the functionality used in the SCCM console. Now I have been asked to design and implement the SCCM 2012 to an IT organisation. What are the details now I need to ask them to define the hierarchical structure. Please guide me. The information on this page is a good starting point. In particular you need to understand the organization's goals, network topology and client counts in each location. DP in Queensland, New south wales and Western Australia and Malaysia - Do we need 4 VM's for DP?? 1. I would deploy ConfigMgr Current Branch and SQL 2016 but yes, you could put them all on one server. 2. I would use a DP in every location. 1) For SQL, should you always separate TempDB and SQL primary data? 2) Do we need a Separate WSUS server? 3) Do we need a PXE server on each site to boot images if we want to deliver OS's. 4) Do Distribution Point servers have to be dedicated, or could we install a DP on a server already hosting few other things? 1. Theoretically yes, but you have a small site so perhaps it's not so important. 2. No, not for 1300 users. Make sure that the Primary Site Server has suitable resources. 4. You could co-locate as long as there is enough disk space. HI Gerry, Just got clarification on number of users. So we have only 650 user in Melbourne and 250 users in Malaysia to support. Do you think one primary site server in Melbourne and DP in Malaysia should be ok? when all roles are on a single server (eg. DP, WSUS, MP, etc.). Do you have any recommendations on the disk space and other resources? one more challenge is that Melbourne users use different models of laptops(Lenovo, Dell, macbooks etc). How can that be managed for OSDs? I want to have a highly available architecture for my sccm 2016 deployment project. How to achieve high availability fro client perspective and server side. how to replicate sccm to DR site in case primary site fails. Have a look at this document for HA with ConfigMgr. Be careful though, implementing some of these techniques could cost you money and you'll have to manage it afterwards. What is your goal? ConfigMgr is not a real-time solution like Exchange so sometimes some down-time can be tolerated. Perhaps your money would be better spend in developing a robust backup solution. Since there is now support for SQL AlwaysON Availability Groups. I have a question in regards to a hierarchy. Can you place the CAS and all child PMs in one AOAG? if so I assume you have to use multiple name instance. If not what is the best practice for this, i have not seen much written on this subject. Thank you!